Dama Straps are designed to securely hold your Kendama wherever you go. Each Dama Strap features a metal clip that can be used to fasten your Kendama to your belt loop or bag. 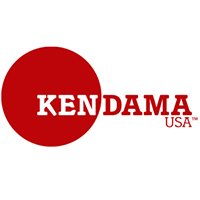 Our Kendama holsters are stylish and made of a durable heavy-duty polyester. Additionally, the Dama strap doubles as a lanyard to hold keys or other accessories. The colorful, minimal design is the simplest way to carry your Kendama along with you. Kundenbewertungen für "Dama Strap - Summertime"